My house addition is built right up against an embankment - in a hillside. When they first brought in the old mobile they cut out the hillside for a level spot. The next owner then dug it out some more and added the 25 x 9 foot addition. So basically I look out my living room window at the ground, which isn't such a bad thing as there is a lot of wildlife activity out there! It's kind of like having your own terrarium. A couple years after I bought the place I decided to figure out a way to utilize the small space between the mobile and hill - which is probably about 12 feet wide. 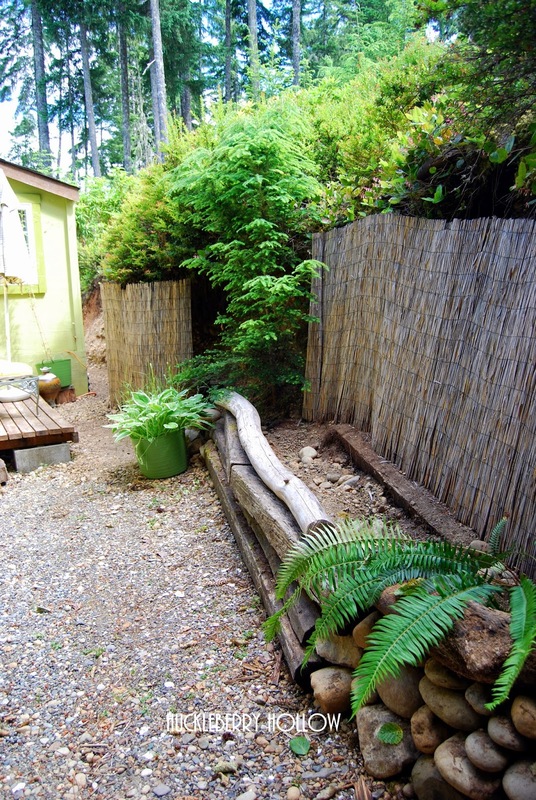 That went very well, creating a lovely private space with a small deck. 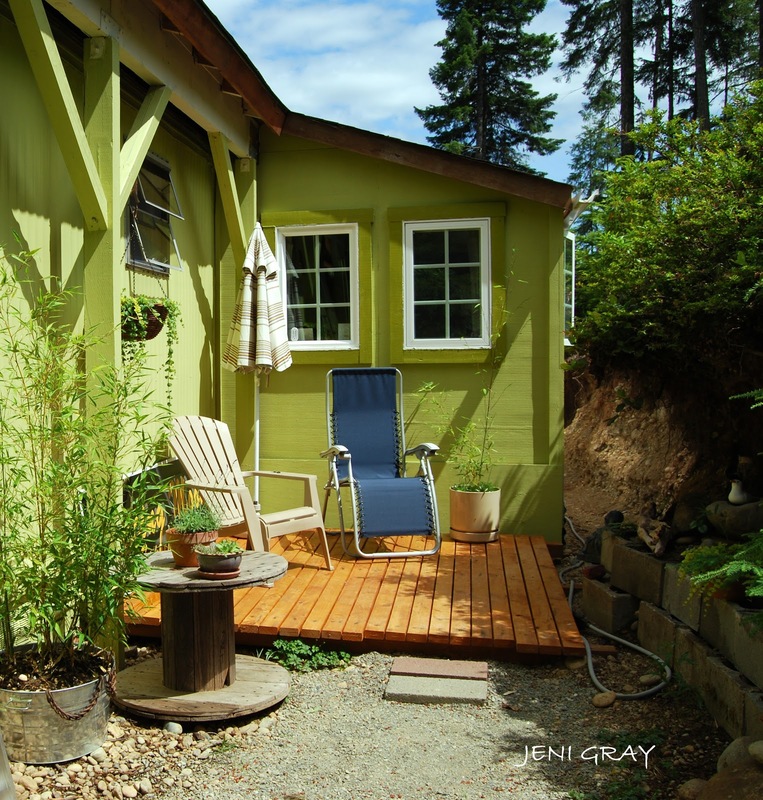 This was of course after I cleaned out the area, leveled the ground, painted the house and built the deck. 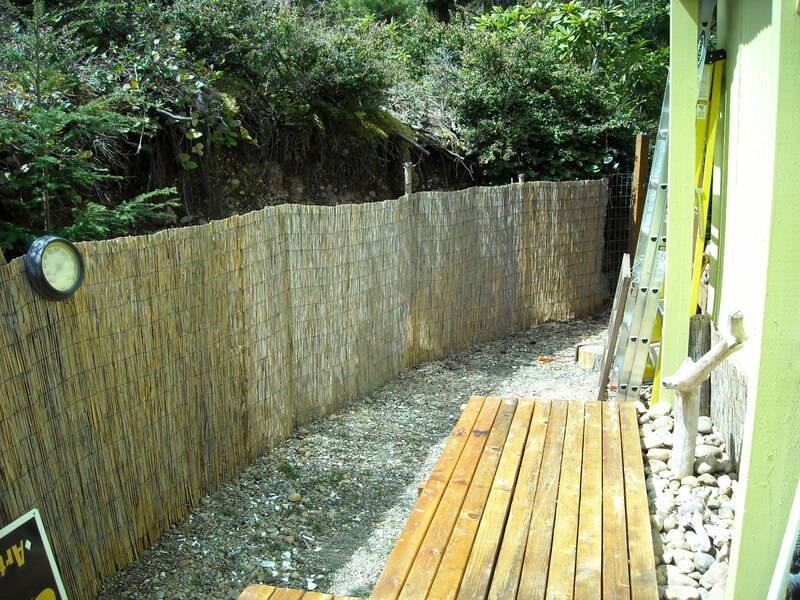 Later I installed a bamboo fence along that embankment just to the addition. I've had such good luck with plants back there with the afternoon sun exposure, or shade at the base of the hill - not to mention that the deer can't get in here. So I decided to remove the bamboo and see how much I could utilize that wall of dirt. 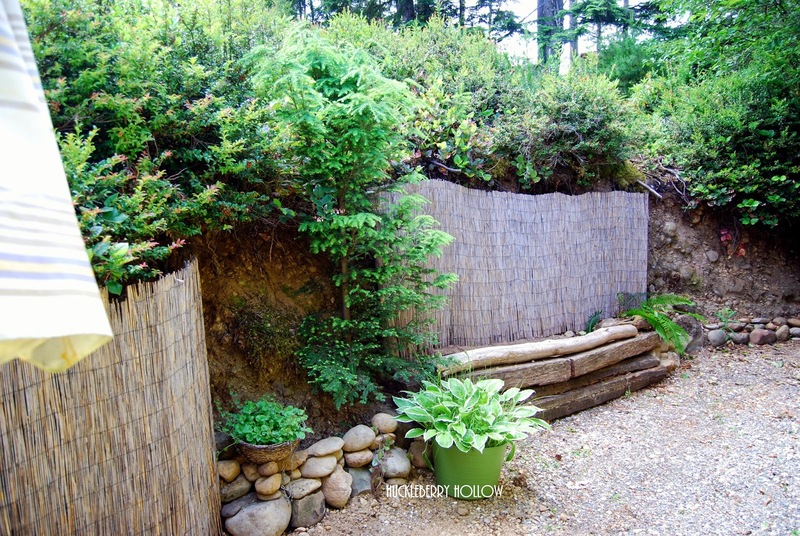 I started by moving out three of the landscape timbers about two feet away from the wall, and filled it in with dirt. I'll need to add some nice topsoil by Fall as I plan to transplant my hosta's there next to the fern. 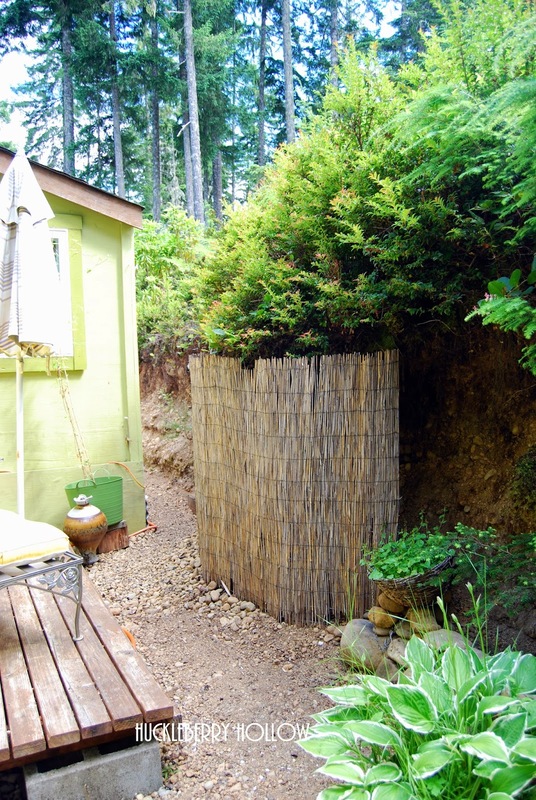 I broke up the bamboo screen and it now lines the wall behind the planter, and further down it hides another unsightly area where stump roots are sticking out. Now looking the other direction. You can see a small rock planter on the left, that's where the purple star flower will go (currently in the small pot). It's very sun sensitive and does well in the shade. The pot of hosta's will spread well in the planter next year. I am also considering planting the clematis in there if I can figure out a clever trellis for it. So the projects continue! Next week it's the new fenced garden.